Pompeo’s open disregard for privacy rights in particular and civil liberties in general, as well as his penchant for extreme language and more extreme policies, mark him as a profoundly troublesome pick to serve as the head of a powerful intelligence agency. But he is also one of the most remarkably conflicted political figures in the conflicted city of Washington, thanks to his ties to the privately held and frequently secretive global business empire that has played a pivotal role in advancing his political career. Pompeo came out of the same Wichita, Kansas, business community where the Koch family’s oil-and-gas conglomerate is headquartered. Indeed, Pompeo built his own company with seed money from Koch Venture Capital. More important, from a political standpoint, is the fact that Pompeo made the leap from business to government with a big boost from the Koch brothers and their employees. “I’m sure he would vigorously dispute this, but it’s hard not to characterize him as the congressman from Koch,” says University of Kansas political science professor Burdett Loomis. Koch Industries had never spent as much on a candidate in a single cycle as it did on Pompeo that time around, giving him a total [of] $80,000. Koch outdid itself again in the 2012 cycle by ponying up $110,000 for Pompeo’s campaign. When Pompeo ran for reelection in 2014, he faced a tight primary contest with another local Republican who had Koch ties. One of the biggest turning points in that race came when the Kochs sided with Pompeo. 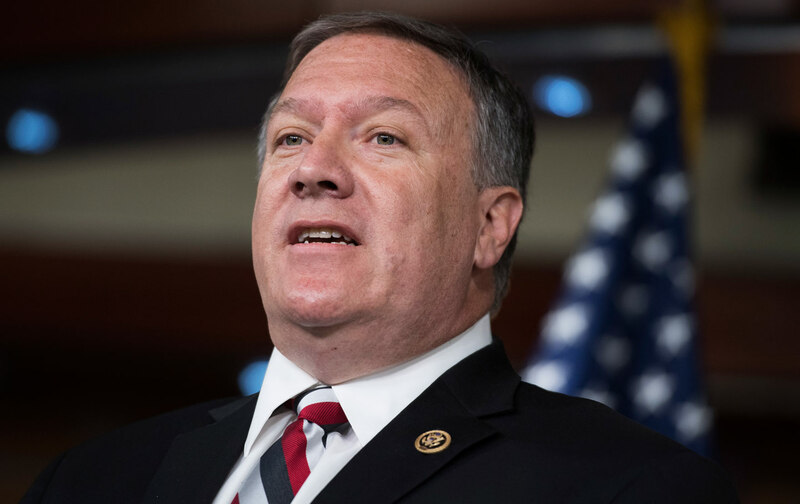 “KOCHPAC is proud to support Mike Pompeo for Congress based on his strong support for market-based policies and economic freedom, which benefits society as a whole,” Mark Nichols, the vice president of government and public affairs for Koch Industries, told Politico. Just as the Kochs have been loyal to Pompeo, so Pompeo has been loyal to the Kochs. He’s a regular at their behind-closed-doors gatherings and he’s outspoken in their defense, claiming that President Obama and “Nixonian” Democrats have unfairly “vilified” Charles and David Koch. “It’s the same old story—a member of Congress carrying water for his biggest campaign contributor,” Common Cause’s Mary Boyle complained at the time. Now, however, it’s a different story, because Donald Trump wants to put “the congressman from Koch” in charge of the CIA.